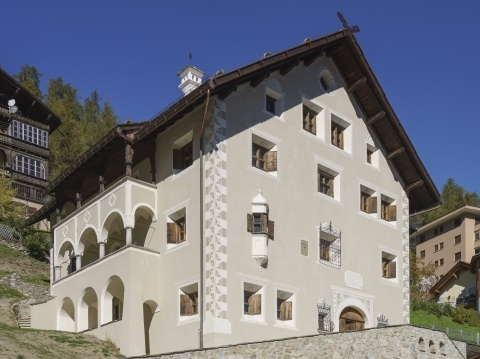 The museum whose exterior looks like a 300-hundred years old Engadine style house is only one hundred years old. It was Riet Campell (1866 - 1951) who founded this museum and entrusted the architect Nikolaus Hartmann (1880 - 1956) with the construction of a house for his collection. It should reflect the typical Engadine style. 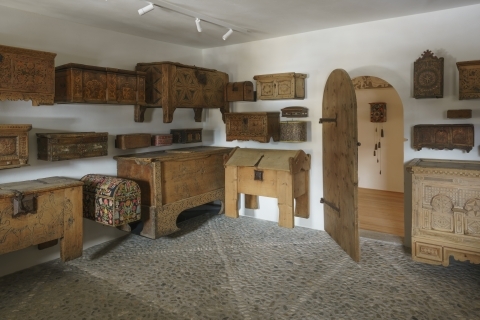 The museum shelters an important collection of furnishings and objects of the culture of habitation of the Engadine. Entrance fee including e-guide in English on tablet. 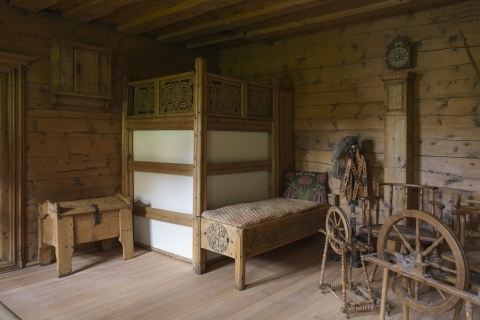 For three generations, master builders and architects Nicolaus Hartmann shaped and colored the landscape and the building culture of the Grisons. The Hartmann's works are still well present today, especially in the Engadine, bearing testimony to an era of upheaval and cultural change. The then-blossoming tourism sector demanded a well-functioning infrastructure, which translated into such architectural products as fine hotels, hydro power stations and the structures of the Rhaetian Railway.